I was in a pinch on which product I was to do next because I've tried out almost all the products and am greatly impressed. I finally decided to go ahead and do a review on the product that I have been using daily since I got it, which is the Amaranth Ultra Hydrating Cream. I was fairly surprised to find out that the Bello-Vita Cell Optimizer S-Essence I reviewed over a month ago was from Amaranth Cosmetics as well. I wasn't too fond of that product because of the perfume scent but I was willing to give this product a chance (and I'm glad I did!). I don't know how to read Hangul but upon browsing Amaranth Cosmetics website I found out that Sorabee is an affiliate company, and if you don't know, I'm really in love with the Sorabee Balancing Aqua Cream and I have also included it in Summer 2014: Morning Skincare Routine. The packaging for the product is simple but luxurious. It looks really high end to me with it's sleek blue color, with silver and white accents. It comes with a pump so it is quite easy to dispense and hygienic for use. There was another surprise in store for me because upon perusing the box, I found the Samsung logo (photo below). I'm not entirely sure how Samsung is related to Amaranth Cosmetics (they might be an affiliate or sister company), let me know if you know. :) Come to think about it, the packaging for this product looks like the pebble blue color Samsung uses for the Galaxy phones. Pave your way to a beautiful and healthy skin. It suits your needs. This is what the brand stands for. The Ultra Hydrating Cream is step 1 in a 4 step special care series by the brand. This product claims to instantly smooth and revitalize the face by putting back moisture and elasticity to the face with it's vegetable moisture water drops. It's main ingredients are Rosa Centifolia Flower Water, Panax Ginseng Root Extract, and Chamomilla Recutita Flower Extract. Rosa Centifolia Flower Water or Rose Water is beneficial to the skin because of it's anti-inflammatory properties. It also reduces redness and blotchiness on the skin. Panax Ginseng Root Extract - Discovered to have a lot of benefits and healing properties, ginseng roots is used in skin care for anti-aging because of its large amount of phytonutrients. It activates skin metabolism and improves and boosts blood circulation that detoxifies the blood as well as the skin from free radicals and in turn makes the skin healthier and brighter. Just reading the claims and the ingredient list, it was very promising and I really love hydrating skin care products. The look and texture of this Ultra Hydrating Cream is very similar to the Sorabee Balancing Aqua Cream, however, unlike the Sorabee Cream, the water droplet effect is barely noticeable because it is thinner. It dissolves and absorbs to the skin more quickly. A little goes a long way and a very tiny amount of this product (about half a pump) can cover your whole face. Although it says it's an ultra hydrating product, this is not the case. It probably might be just that for people with oily to combination skin type, but for normal to dry skin, this wouldn't be enough as a stand alone night cream. However, this product is great as a daytime moisturizer and makeup primer. 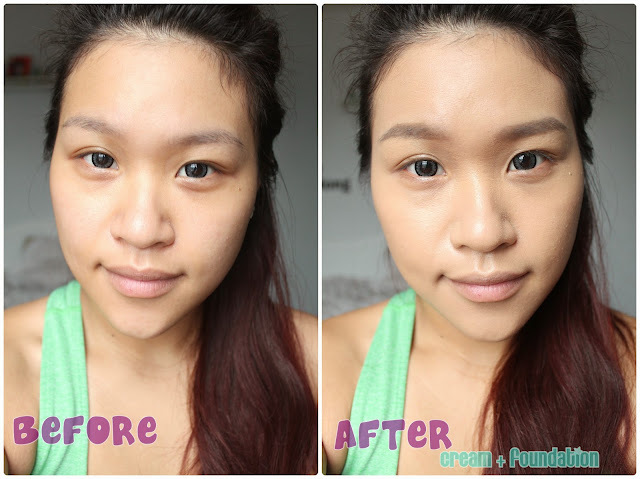 It smooths out the whole face and the bumps become non-existent thus, makes base makeup look extremely flawless. It provides a light moisture throughout the day but isn't heavy enough to cause oiliness. In fact, it gave my face a semi-matte to a natural finish the end of the day without touching up. Above is a photo of me with a completely bare face and a photo after applying the cream and a light layer of foundation. Just notice how flawless and natural looking my skin is. I would definitely keep using this as my primer and as a replacement of my Sorabee Balancing Aqua Cream which I have emptied more than a month ago. If you ever see this product, give it chance, you just might like it. 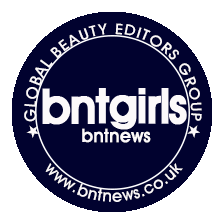 Don't forget to visit the other BNTGirls, Doris, Kim, Carina and Bella. Hair Update: I Cut My Hair! !